Recently, I have noticed an increased interest in avocados. It seems they are the new super food. In the past, back in the low fat crazed days, avocados were avoided due to their high fat content but now that people are realizing how necessary fat is for our bodies, avocados are enjoying a popularity surge. 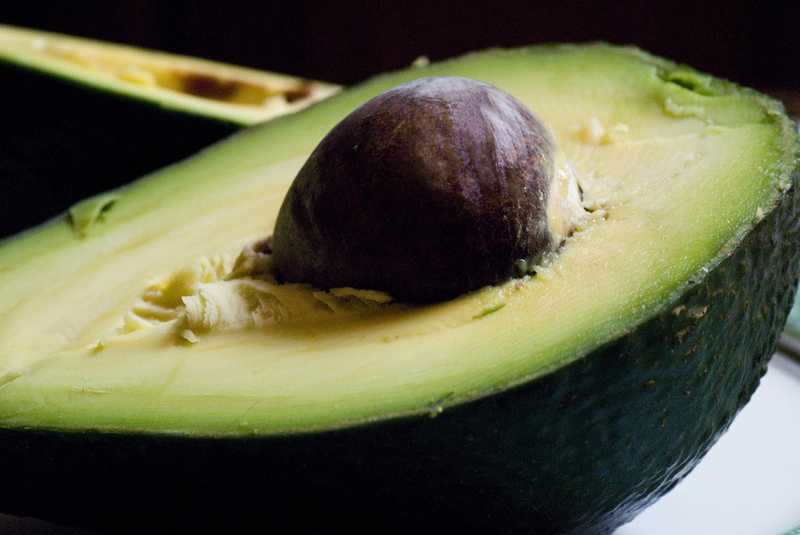 Even though avocados are high in fat, most of that fat is oleic acid, a mono-saturated fatty acid. Oleic acid helps our digestive tract form transport molecules for fat that can increase our absorption of fat-soluble nutrients like carotenoids. Mono-saturated fats also help lower our risk of heart disease. Avocados also contain phytosterols, which are invaluable in lowering inflammation, especially in arthritis. Avocado is an excellent source of carotenoid lutein, which known to help protect against age-related macular degeneration and cataracts. They contain lutein which helps fight macular degeneration and their high fiber content helps keep blood sugar level. Avocados are a particularly rich source for potassium, Vitamin E, folate, Vitamin K, Copper and Vitamin C. With all these amazing health benefits, it is easy to see why avocados are the new darlings of the nutrition world. Throw some on a salad to increase your absorption of fat soluble vitamins. Grind one into a smoothie to add a thick, rich, satisfying texture. Mix one with some honey and smear on your face for a moisturizing mask. The possibilities are endless. What is your favorite way to enjoy avocados? Post shared with Urban Naturale and Gluten Free Homemaker. Photo by Three Layer Cake on flickr. Love, love, love avocados. It’s a sad day if I find myself without one in the house. I add them to smoothies often, love topping black bean soup or veg chili with them, and really enjoy toast slathered with coconut oil and smashed avocado. It took a while for me to get past the high fat hype and learn to love avocados. Now that I am eating them, I can’t live without them. They are delicious, nutritious and can be enjoyed in so many ways. Thank you so much for sharing the benefits of avocados with us on the Healthy, Happy, Green & Natural Blog Hop! I appreciate it!